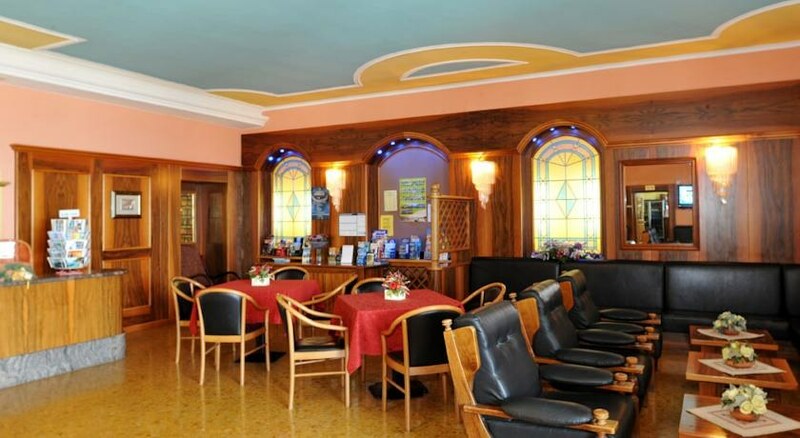 Park Hotel Jolanda in San Zeno di Montagna has 126 rooms, spread over 4 floors. The hotel is located 9 km from the gravel beach. 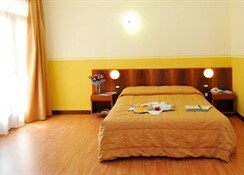 The closest city to the hotel is Garda (9 km). Other cities: Mantova (60 km), Verona (40 km). 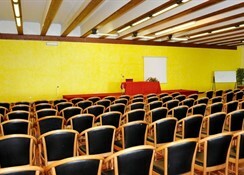 To make your stay more comfortable a conference room, a reception, a lounge and a lobby are available. The staff in this 4 storey hotel speaks Italian, English and German. Distance from the hotel to: train station (20 km), Canevaworld (17), Parco Natura Viva- Zoo Safari (20 km), airport (51 km), Gardaland (20 km) and Jungle Park Adventure (5 mi). 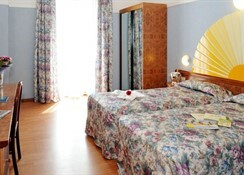 The hotel is within easy reach of city centre, bus stops and markets. For your entertainment the hotel features a TV lounge. Vehicles may be parked in the parking lot. Amenities: Reception hours: 24h Service. Meals: The breakfast type is Buffet. 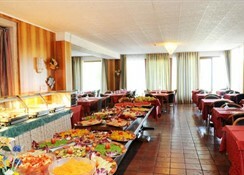 Lunch and dinner are served in the restaurant. Sport and Leisure: Guests who wish to be active on holiday can enjoy activities such as tennis. The nearest golf course is 7 km away. Additional Information: Payment facilities include Euro/Master Card and Visa Card. Additional fees may apply for certain facilities, amenities or activities.